The Shoestring Agency created the logo (as well as designed signage and collateral) for this very important public awareness campaign. The “What are you waiting for?” point-of-purchase display sign got the attention of pharmacy customers as they stood in line waiting. 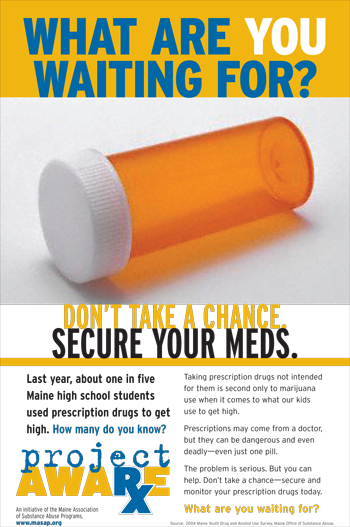 The educational handout was provided to patients at doctors offices, reminding them how dangerous prescription drugs can be in the wrong hands.